Question: Even though I’ve been writing articles on my blog (1 a week) the google bot doesn’t seem to be visiting very regularly to the point the the cache of my page is 3 weeks old now. 🙁 I’m either writing terrible content (probably!) or there’s a problem?Do you have any advice? Well Stu, great things come to those who wait, although like Diana Ross said ‘ I’m still waiting ‘. 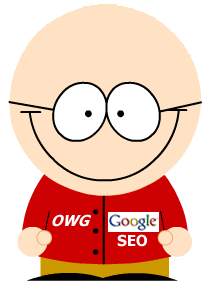 One of the classic crawling strategies that Google has used is the amount of PageRank on your pages. So just because your site has been around for a couple years (or that you submit a sitemap), that doesn’t mean that we’ll automatically crawl every page on your site. In general, getting good quality links would probably help us know to crawl your site more deeply. ——> snip —–> That’s what I would recommend looking at.